Royal Air Maroc will join oneworld to be the third Arab airline member, besides Royal Jordanian and Qatar Airways by mid 2020. Its regional subsidiary Royal Air Maroc Express will join as a oneworld affiliate member at the same time. 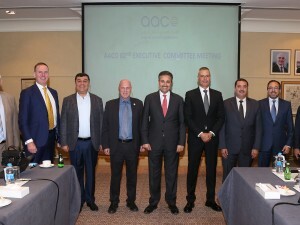 Its election as a oneworld member was announced as the chief executives of the alliance’s 13 current member airlines gathered in New York for their year-end Governing Board meeting. 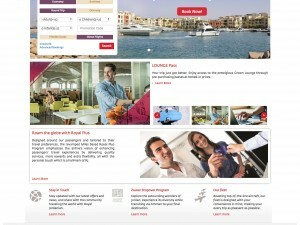 From then, the recruits will offer the full range of oneworld customer services and benefits, with the one million plus members of Royal Air Maroc’s Safar Flyer loyalty programme able to earn and redeem rewards on all oneworld member airlines, and with its top tier members able to use the alliance’s more than 650 airport lounges worldwide. While Comair has been a oneworld affiliate member since the alliance launched in February 1999, Royal Air Maroc will be oneworld’s first full member from Africa – the only continent, apart from Antarctica – where the alliance has, until now, had no full member. It will also be the alliance’s first new full member airline signed since 2012. Royal Air Maroc is today the largest unaligned carrier in Africa – with a transformational strategy well underway to develop it quickly into a truly global airline and the continent’s leader in terms of both size and quality. It carried 7.3 million passengers last year on a fleet of 55 aircraft, with a network that currently connects its Casablanca base with 94 destinations in 49 countries across Africa, Europe, the Middle East and North and South America, including oneworld hubs Doha, London Heathrow, Madrid, Moscow Domodedovo, New York JFK and Sao Paulo. 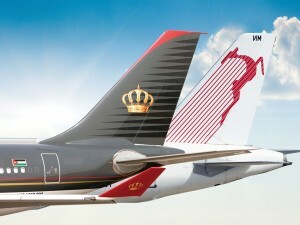 Royal Jordanian (RJ) has decided to stop Royal Wings operations on November 30, 2018. The move was taken as a result of the high operating costs and the subsequent losses incurred by Royal Wings over the past years. 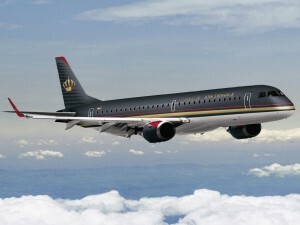 The task of promoting and selling the charter flights that used to be carried out by Royal Wings will now fall on Royal Jordanian’s commercial department. Negotiations are going on at this stage between RJ and two parties interested in buying Royal Wings; the process may take some time. 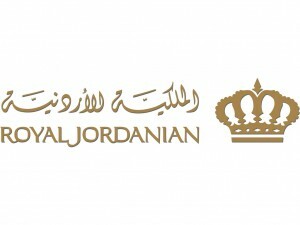 As for the employees working at Royal Wings, 12 of them, who had been seconded from Royal Jordanian to Royal Wings, will return to work for RJ. The other 95 Royal Wings employees were offered several flexible options for their future benefit. After interviewing a number of them, 18 have been accepted to work for RJ so far, as they met the job requirements, while the process of interviewing is still ongoing to give the opportunity to the remaining staff members to undergo RJ exams and interviews. Those who don’t pass the exams and interviews are offered the option of voluntary release from service. The voluntary release option is also available to all Royal Wings employees. Royal Jordanian and Tunisair has signed a free sale code share agreement, whereby Tunisair will market RJ flights and thus put its carrier code on these flights running between Amman and Tunis. Tunisair does not operate flights between the two capitals. The code share, four-weekly flights are now open for sale. This agreement with Tunisair is bound to enhance cooperation between the two flag carriers and improve passenger traffic by providing Tunisair customers convenient options to fly to Amman; they can also plan their trips to reach further destinations on RJ’s global route network. RJ President/CEO Stefan Pichler said, “We are glad to offer our services to Tunisair passengers, who will experience compelling services on board our aircraft. This partnership is the first step on the way to enhancing relations with Tunisair, and will bring great benefit to both airlines, from a commercial perspective. This agreement will give Tunisair customers the opportunity to visit Jordan and learn about its historical and tourist attractions. 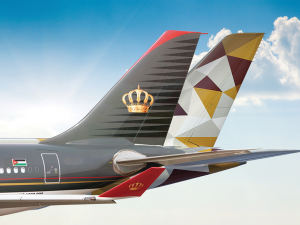 ” Tunisair CEO Elyes Mnakbi commented, “We are delighted to be working with Royal Jordanian as a leading carrier in the Middle East and provide high quality services to passengers on the ground and in the air. This agreement is a new step in the strategic and historical partnership between our countries. It is also an added value towards enhanced air traffic between our companies.” This latest agreement raises the number of code share agreements concluded by RJ to 17. Half of them were concluded with oneworld carriers and the other half with Arab and international airlines. 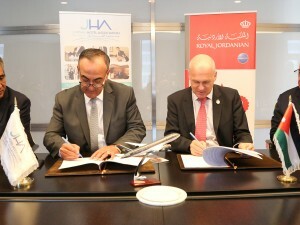 Royal Jordanian has launched direct, scheduled Amman-Copenhagen flights which will give the airline a strong presence in the Scandinavian market and enhance tourism from the Nordic countries to Jordan. The new route, launched after having conducted a feasibility study, is expected to attract more tourists to Jordan, facilitate travel for businessmen, and enhance trade between Jordan and the Scandinavian market. A delegation of representatives from Royal Jordanian, Jordan Tourism Board and Jordanian travel agents were on the inaugural flight to Copenhagen. RJ organised meetings with Danish and Scandinavian travel agents to agree on joint collaboration and enhance tourism between Jordan and Denmark, and other Northern European countries by taking advantage of the flights RJ is now offering. RJ carried out several sales promotions over the past months, and will continue to do so, in a bid to attract travelers and tourists from Denmark to Jordan. The promotional activities in Denmark focus on highlighting Jordan’s tourist, archaeological and natural sites, in addition to the security and stability the country enjoys. RJ President/CEO Stefan Pichler said, “RJ will continue to review its network and look for new markets to better enhance traffic and connect Jordan to the world, in line with our vision and strategy to be the airline of choice from/to the Levant.” Royal Jordanian will operate the three weekly flights with Airbus 320 family planes on Tuesdays, Thursdays and Sundays. Royal Jordanian (RJ) will resume its scheduled flights between Amman and each of Erbil and Sulaymaniyah, in northern Iraq, as of April 1, 2018. RJ passengers on these routes will enjoy the added benefit of reduced round-trip fares, at JD280, in an offer valid from March 16 to March 31, 2018, for travel to take place between April 1 and June 8, 2018. RJ will operate 10 weekly flights to Erbil and four weekly flights to Sulaymaniyah. The decision to relaunch the flights was taken as Iraqi authorities announced the reopening of the airports in these cities. Airlines operating to Erbil and Sulaymaniyah had suspended their flights on September 29, 2017, upon directions from the Iraqi authorities. RJ customers are invited to purchase their tickets on rj.com or by visiting RJ’s global sales offices and through travel agents.